HOLLIDAYSBURG, PA – Stiffler McGraw, a full service consulting firm offering complete civil engineering, surveying and architectural design services, is pleased to announce, as well as congratulate, Mr. Jonah Salyard for receiving the ASHE’s Altoona Section Scholarship award. ASHE Altoona Section has been giving this award since 1988 and has awarded more than $50,000 to students. 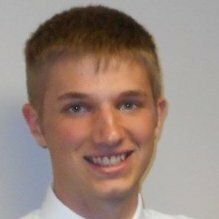 Salyard is currently a Junior at the Pennsylvania State University majoring in Civil Engineering and interning at Stiffler McGraw throughout the 2017 summer. His previous internship was at PennDOT District 9-0. Mr. Salyard is also a two-time recipient of the Bud Shuster Achievement Award in the Civil Engineering at Penn State Altoona, a member of the Penn State Student Chapter of the ASCE and has made the Dean’s List for the last five semesters.